In the Apple Music app (formerly iTunes I believe) you can assign an image to your playlists, which is new to me as well. 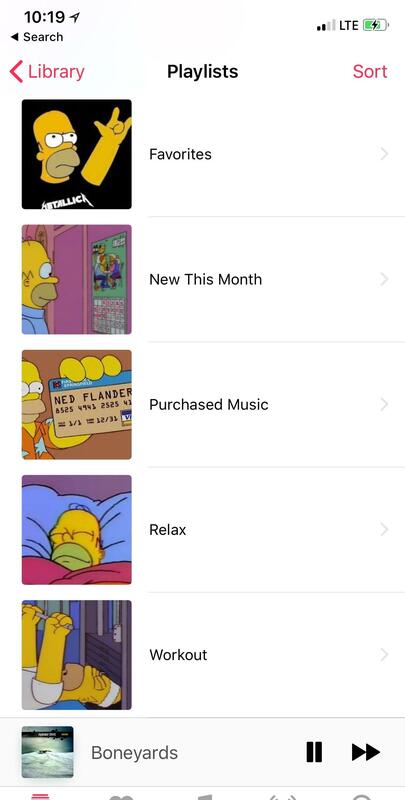 u/ducksnorter from Reddit had this clever idea and making their playlists all pictures of Homer. As a big Simpsons fan I had quite the chuckle at it. Hopefully this will open the floodgates to some other fun themed playlist possibilities for people out there. This entry was posted in Miscellaneous and tagged Apple Music, Playlist, The Simpsons. Bookmark the permalink.